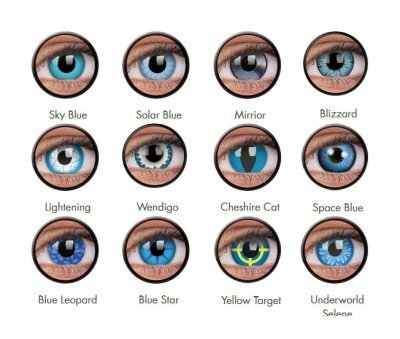 Blue Crazy Lenses for any occassion. Fun designs to enhance your look. NON prescription lenses. ColourVUE contact lenses offer you the opportunity to give your eyes a makeover at any given time. We recommend ReNu Multi Plus cleaning and storing solution and a contact lens case to keep you lenses in tip top condition.